The Touareg is Volkswagen's entry in the SUV market. Developed in conjunction with the Porsche Cayenne, the Touareg offers a luxurious interior paired with a chassis and drive system that is more than capable off-road as well as on-road. 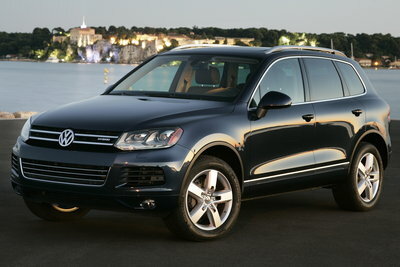 The Touareg starts at around $45,000 for the V6 powered model. A diesel-powered model is priced from $48,000 and adds more torque and improved mileage. A performance-oriented hybrid model is also available for over $61,000. A healthy list of price option packages can easily add thousands to the base price. On paper, the Touareg has a lot going for it, but its premium pricing places it in competition with a lot of models with more prestige than that of the "people's car".